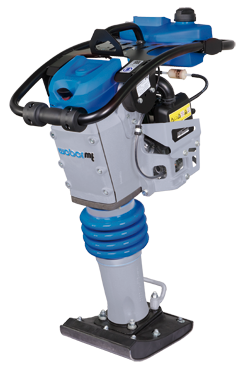 Due to its significantly increased stroke and impact power this rammer compacts even faster and more efficiently. Weber MT has not only increased the impact power, but has also made substantial progress toward operational comfort. A narrow guide bar, an optimized tamping foot and modern engines – all these characteristics ease the operator’s work and provide maximum comfort. The heavy-duty CR class from Weber MT – powerful soil compactors with forward and reverse travel for use in road construction and civil engineering. The CR 7 MSM is equipped with the new COMPATROL compaction control system thus providing the additional advantage of continuous compaction control and quality assurance of the compaction work performed. 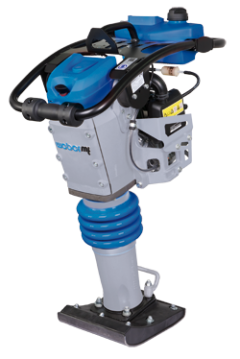 Model: CR5 HO Thanks to their smoothness of operation, their vibrating characteristics and their rugged and reliable design, the machine for medium-sized compaction jobs also set standards for a new class of machines. The reversible soil compactor CR 5 translates this concept into optimum compaction results. Thanks to their smoothness of operation, their vibrating characteristics and their rugged and reliable design, the machine for medium-sized compaction jobs also set standards for a new class of machines.